Why would I need self storage in Apopka, FL? There are a variety of reasons why you might need self-storage in Apopka, FL. How much is a storage unit in Apopka, FL? The cheapest storage unit in Apopka, FL is $24.00 per month. What size storage units do you have available in Apopka, FL? In Apopka, FL we have sizes that range from 4'x4' to 12'x30' to suit your storage needs. How much is it for a 4'x4' storage unit in Apopka, FL? The cheapest 4'x4' storage unit in Apopka, FL is $24.00 per month. Apopka is a picturesque city in Florida's Orange County. Part of the Orlando metropolitan area, it's 12 miles northwest of Orlando and 76 miles northeast of Tampa. Today Apopka is home to a rapidly growing population, attracting thousands of people a year with its natural beauty and many amenities. 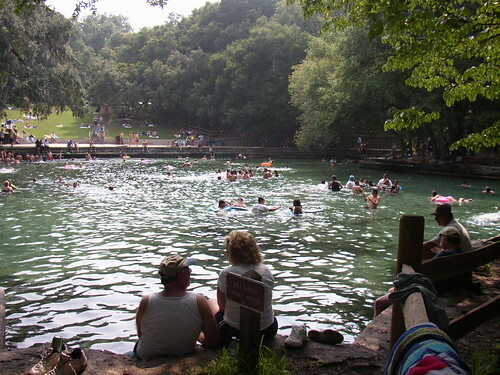 Home to Rock Springs Ridge, Lake Apopka and Wekiwa Springs State Park, there's no shortage of beautiful places to reconnect with nature. Apopka also has its own golf course and the Museum of the Apopkans, which celebrates the city's history. The area where Apopka now sits was originally home to the Acuera people, part of the Timucuan tribe. Spanish colonists were the first European settlers to discover the area, but didn't establish any major settlements there. Later, Native American refugees from Georgia and Alabama made their home in the area, which they called Ahapopka. In the mid-1800s, American settlers established a large trading post in the area and the population grew steadily. By 1857, a Masonic lodge anchored the small community, which sat largely untouched by the Civil War. When railroad lines were constructed through the region, the population continued to grow. The city's name was later simplified to Apopka, and it was officially incorporated in 1882. With its low unemployment rate, Apopka's job market is stronger than the national average. The mix of white-collar and blue-collar occupations provides jobs requiring a range of qualifications and interests, a balance that's key to the city's economic success. Sales is the largest local industry sector, employing a significant percentage of the population, followed by office and administrative support and management occupations. Apopka was once known as the Indoor Foliage Capital of the World, and though the foliage industry is no longer the force that it once was, many greenhouses and family-owned nurseries are still located on the outskirts of the city. Apopka public schools are managed by two school districts, the Orange School District and Seminole County Public Schools. There are a few private schools in and around Apopka as well. As a city known for its golf courses, Apopka is also home to the Gold Academy of America, a two-year, golf-focused college. Utilities: Duke Energy is the city's main energy provider, while Apopka Utilities manages water and sewer services. Garbage and Recycling: The city provides each single-family home with disposal cans for trash and recyclables. Your collection schedule will be determined by your specific neighborhood. Transportation: Public transportation is somewhat limited in Apopka, but the Apopka Circulator has a network of routes through major areas of the city. Apopka home prices are rising quickly, but it still remains an affordable place to live when compared to the Orlando metropolitan average. If you'd prefer to rent, you'll find plenty of apartment options and rental homes to choose from. Our lowest priced units in Apopka, FL average $62.00 per month. 296 people have reserved units in Apopka, FL in the past 30 days. There are 7 locations within Apopka, FL's city limits. There are 6 locations in Apopka, FL that offer AC and Heating features.